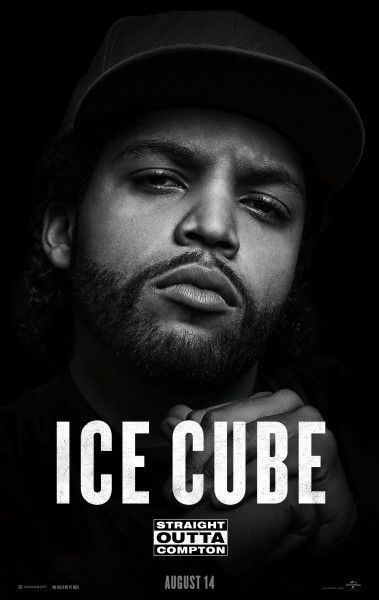 The 31st Santa Barbara International Film Festival (SBIFF) continued its tradition of honoring the year’s standout performers by presenting one of this year’s Virtuosos awards to O’Shea Jackson Jr. for his work portraying his own father, Ice Cube, in Straight Outta Compton. 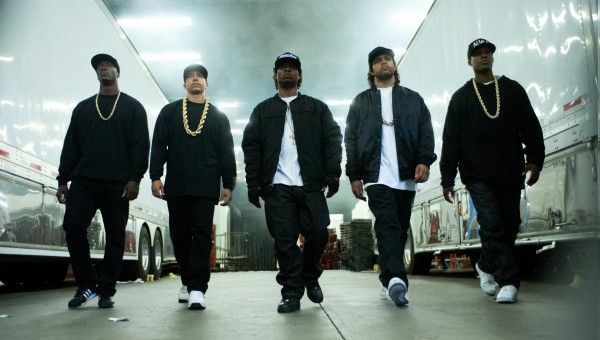 The biopic chronicles the rise of rap group N.W.A., who emerged from the mean streets of Compton in Los Angeles, California, in the mid-1980s, and revolutionized hip-hop culture. While there, O’Shea Jackson Jr. talked about why his dad wanted him for the film, learning about N.W.A., smiling a lot more than his dad does, what surprised him most about his father, his recommendation that actors never read internet comments, why he would have liked a Best Picture win at the Oscars, how his relationship with his dad is different after this experience, and his desire that they do a movie together. Here are the highlights of what he had to say during the Q&A. Question: Whose idea was it for you to play your dad? Was it yours, was it his or was it someone else’s? 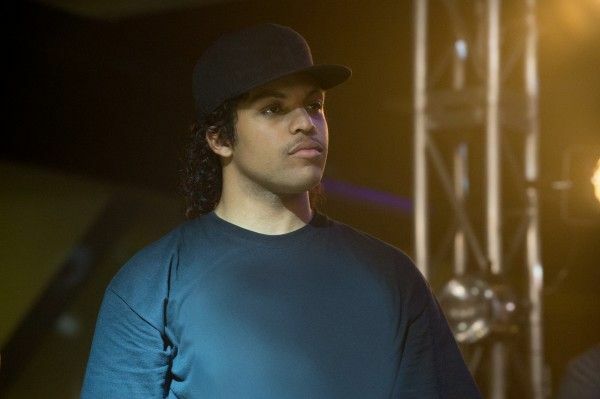 O’SHEA JACKSON JR: It was definitely his idea. I went to USC for screenwriting. I always thought I was going to be on the other side of the camera. That’s where I found myself. I found out that I could write when I was 17, right before you go to college, so it was a passion of mine. And then, one day, he came down into the kitchen and said, “I need you to play me.” That’s a tough pill to swallow. It was Universal, which is a big fish. I had to learn how to act. It was two years of auditioning. When it’s your father and you go through two years, you start to build a doubt. What the hell?! But I had to develop a confidence. That was something I needed for Straight Outta Compton. I had to have my father’s integrity and confidence at 17. Did he want you to play him because it was the best idea, or was it because they’d already auditioned other people and couldn’t find the right actor? JACKSON: No, he had gotten off the phone and went, “Look, they’re taking the N.W.A. movie seriously, and I need you. Nobody is gonna want you to get it. Nobody is gonna want you to have this, but I need you.” That’s all I needed. I was in there. 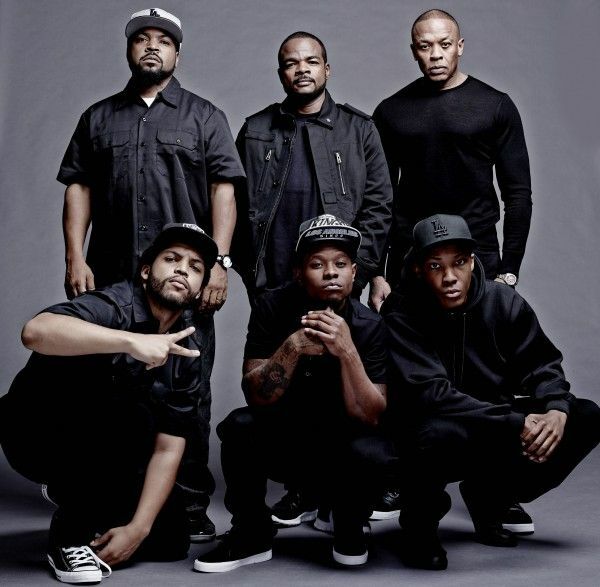 As you were growing up, did your dad sit you down and tell you what he did, back in the day, in N.W.A.? Did you want to learn all about the kind of stuff that he was up to? JACKSON: They told me, as a kid, “Your dad used to be in a group, and he left.” That’s all I needed to hear. I was like, “All right. It doesn’t matter then.” I’m Team Cube, if you don’t know. But when I hit my teens, my older brother, Darryl, who’s an associate producer on the movie, introduced me to N.W.A., and I got to see that young dad. I don’t have no videos of him, so to have that music is a way inside his head. It’s amazing how similar you are able to be to him on screen. How are you guys different, as people and as performers? What’s the one thing that you learned about your dad, through the course of prepping for and making this movie, that surprised you the most? JACKSON: The qualities that make him my father and the dude that I know, whatever he chooses, you just think is the right answer. He’s had that since he was 17, and there’s people I know who, at 24, don’t display that. It’s really something special and it really helped me connect with him, beyond anything we’ve done before. This is my family’s legacy. This is our baby. With him being one of the producers of the movie and you being one of the actors, did you ever talk about how to make sure that you weren’t getting special treatment? JACKSON: Oh, man, I had my own idea of what everybody thought of me, once I got the role. Any future actors out there, don’t read the internet and don’t read comments. Just focus on your work. There’s that doubt. It’s all about your home training. My mother and father have brought us up to respect everyone with the same equal love and honor them, and you’re supposed to honor your profession. At the end of the day, this is my job and I take nothing more seriously. How many takes did you get for the scene in the Priority Records office, where you just destroyed the place? JACKSON: We had two takes. When I’m pointing the bat, we did that a bunch of times. But smashing stuff, I had to do it in a particular order and I was not supposed to break that last table. So, I did that on take two. Did making this movie teach you a lot about the pitfalls and the scary parts of the music business? JACKSON: There’s a lot more than can go in a two-and-a-half-hour movie. You’ve gotta get people in the seats. You can’t have them in there for days. It’s really a rough business. Anything in the entertainment business, there’s sharks coming around. It’s about staying true to yourself and making sure that, when you look in the mirror, you’re happy with what you see. How do you feel about what happened with the Oscar nominations for this film? JACKSON: It’s nothing that you can dwell on ‘cause whatcha gonna do about it? We didn’t make a bad movie because we didn’t get an Oscar for it. As an artist, I didn’t think I was gonna get an Oscar. I’ve never said this, but I’ve never looked at it like, “We’re gonna win Best Supporting Actor.” It was about Best Picture because then my father gets an Oscar. My whole thing was this was to immortalize my family’s name. To get the people who never would have appreciated him to appreciate him, there’s nothing a son could want more. How is your relationship with your dad different, now that you’ve been through this whole experience together? JACKSON: There’s a lot more cursing in our conversations, and we chill a little bit more. We’ve definitely got the same very dark sense of humor. And we need to get on the screen together. He’s the one trippin’!